The key FNB Dusi seeding race, the Ozzie Gladwin on Sunday 26 November has been moved back to the Dusi course for the first time ever in a move designed to shore up gaps that have emerged in the domestic canoeing calendar. Traditionally hosted on the upper uMngeni River from Albert Falls dam to Thornvale Farm, the race was the only major FNB Dusi front row seeding race not held on the actual Dusi course. This year however the two year long drought has left Albert Falls dam extremely low as water authorities seek to minimise water evaporation loss in the shallow dam. This led to a limit being placed on water released from Albert Falls dam, and this would have left the paddler taking part in the Ozzie Gladwin facing a tough, low water slog. “We stepped back, and taking into consideration the cancelling of the Umpetha Challenge, and the moving of the 50 Miler, we felt there was a need to have a major race on the Dusi course,” said race director Paul Firman. “We have the privilege of being able to use the water held in Henley Dam to guarantee a Dusi water level for the race, and we want to incorporate a Dusi running element into the race as well. Firman said the race would use exactly the same format as the Umpetha Challenge, starting with a lap on Camps Drift before paddling down to the Campbell’s farm portage, and finishing at Bishopstowe Hall. “This is a race that honours Ozzie Gladwin, who was a long-serving timekeeper and Dusi official,” said Firman. “Given the gaps in the Dusi build-up calendar, we feel that Gladwin would approve of the changes. “This will be the first chance to see the combinations being put together for the FNB Dusi, tested in true Dusi racing conditions. 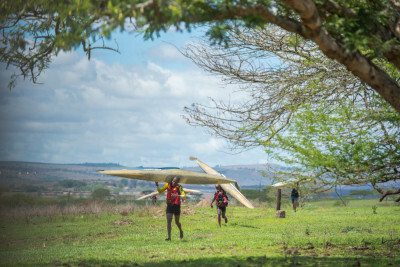 “For the rest of the keen Dusi paddlers, they will get to race on decent water, get to train on the Dusi course, and get to tackle Dusi running elements that they have always looked forward to in the Ozzie Gladwin dam wall portage,” he concluded.